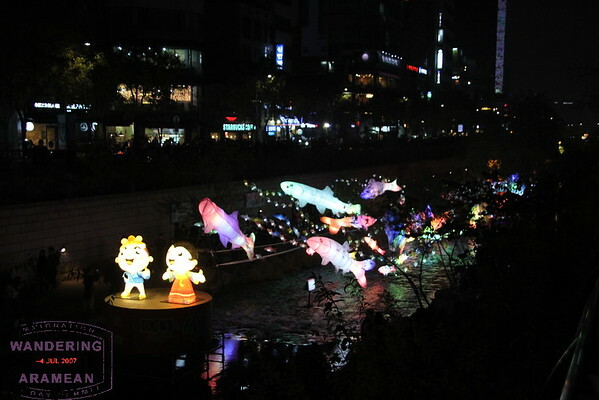 Each year a section of the Cheonggyecheon Stream in the center of Seoul is lit up with thousands of lights. 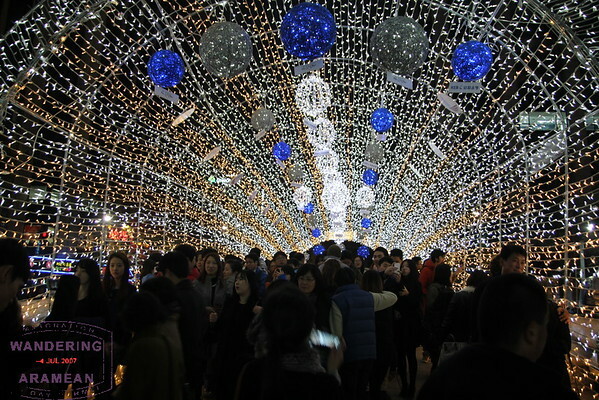 It is the annual winter Seoul Lantern Festival and, completely by accident, we were in town for the closing weekend of the 2014 event. Seriously, we had no idea it was going on until I randomly started searching for festivals in town and came across this one. And given that it was not too far from our hotel and the weather was reasonable we decided to pay a visit. One of the bridges over the official Seoul Lantern Festival dressed up for the occasion. We ended up not really getting inside the festival at all. It seems that most of the city had a similar idea and with it being one of the final days of the event the crowds were insane. We estimated that the queue just to get downstairs to the creek bed for viewing was over an hour. And that was longer than we were willing to wait before finding some dinner. So we viewed the lights from above. 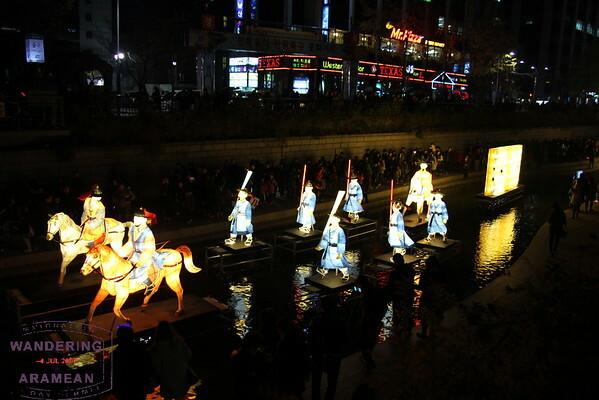 One of the many exhibits in the Seoul Lantern Festival. The reflections of the light off the water was pretty cool, too. I cannot truly claim that it was the same as being down on the creek level and being in the middle of all the lights, but I do know we still had spectacular views and managed to avoid most of the crowds. 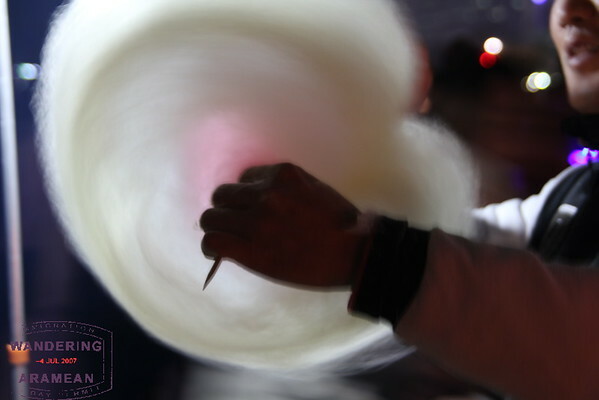 Plus we got to explore the street vendors and other ancillary attractions near the event. 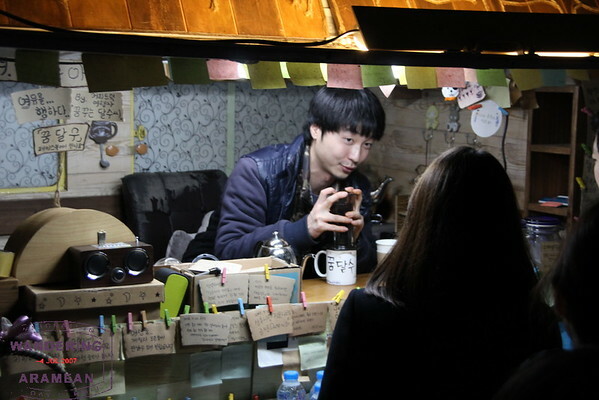 And this vendor was producing fancy coffee out of the side of his tiny truck. 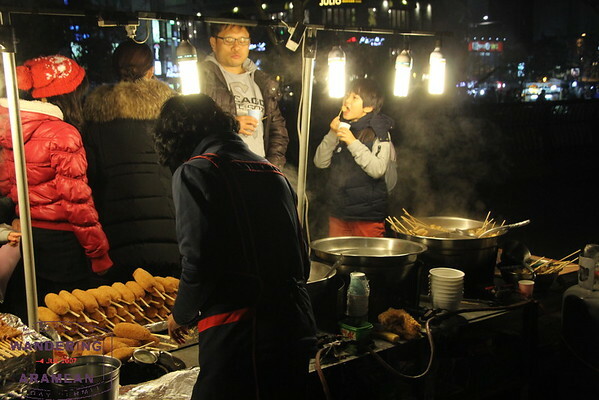 Were we not planning on a full, proper dinner then we would have done just fine eating at those stalls. As it is, however, we ended up in a random BBQ shop down one of the nearby side alleyways and gorging on soju, ribs, tongue and various other things I don’t really remember. Mmmm…the meat that tastes you back. 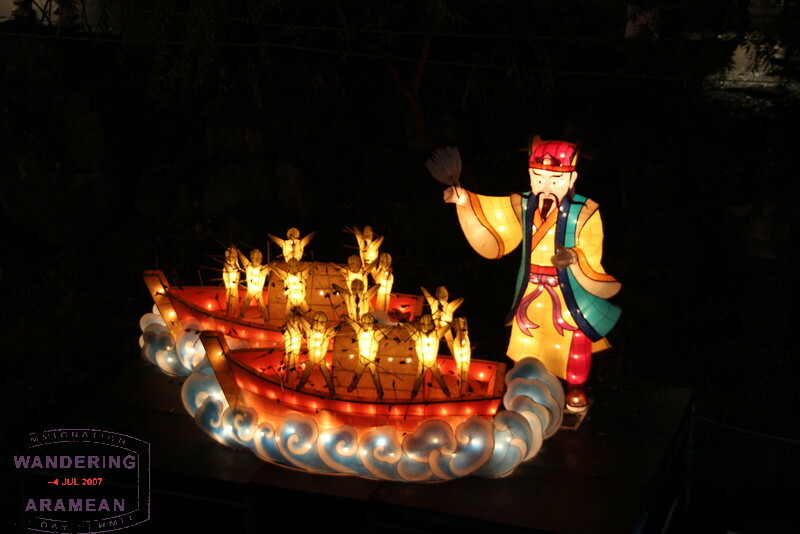 Maybe not the traditional “full” experience of the Seoul Lantern Festival, but it was the one we wanted and definitely gave us a good taste of the event (pun intended). More stories from this trip.